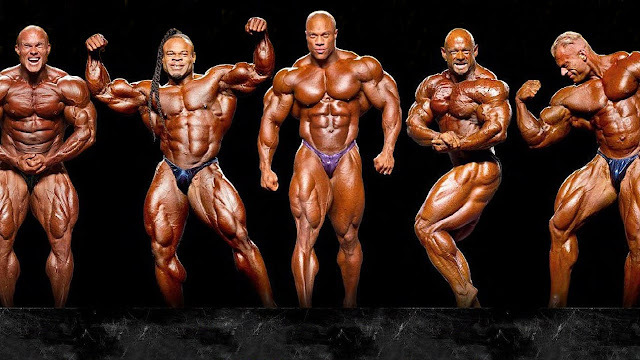 While competitive bodybuilding and powerlifting act as terrific deadline creators, do not enter without expecting competition from drug users. Testing is either non-existent or such a joke that some of the most prominent “naturals” are well-juiced. A much more realistic and fair type of competition is to set up something informal with a training partner, friend or pen pal. Make it bodyweight related for maximum reps for each exercise, e.g., squat 150% bodyweight, bench press bodyweight, and barbell curl 50% bodyweight. Set the date of the competition a few months away, structure a training cycle to peak on the meet day, gear yourself up for it, apply yourself with zeal to the preparatory training, and then give forth of your very best on the big day. Maximum reps in the squat with 100, 135 or 185 pounds. Maximum reps in the bench press with 135 pounds. Maximum reps in the deadlift with 150 or 200 pounds. You could impose a time limit if the reps will be very high, e.g., maximum reps within 15 minutes; and you could use percentages of bodyweight rather than fixed weights. You could even get away from regular weight-training exercises for competition days, or use a mixture. Use your imagination and find some movements you would enjoy performing. For example, you could perform your maximum number of floor pushups (perhaps put a time limit on it), walk with a given pair of heavy objects for time, hold a 2-inch bar loaded to 100 pounds for time, etc.